I have a 3 year old Linksys WRT45G wireless router that is due for an upgrade. However, I have dd-wrt running on it with specialized configuration, corporate level features, and a great interface that I'm reluctant to give up. Currently, I have wired connections for my computers to minimize latencies and maximize bandwidth to my NAS, but they're only 100mbps. I'm not super knowledgeable on the details of networking, so bear with this (probably very simplistic) question. Can I just buy a gigabit wired switch (newegg), and wire it into my existing linksys router? My goal would be to retain the configuration and utility of the Linksys router, while gaining gigabit speeds between my NAS and wired computers. if I hang a gigabit switch off the 10/100 infrastructure of the router, will that restrict the speed of the remaining switched ports? Thanks for your help! Let me know if I need to clarify anything or if you have any other suggestions. The port on the switch going to the router will be downgraded (obviously to 100Mbit) but all others on the switch will be the maximum of what the device plugged in can handle (unless it is a really crappy switch). I don't know how the data is set up to travel on your network, but usually all internet traffic will go through the router, and all traffic between wired and wireless will be clogged on the 100mbit connection (between switch and router) not that wireless is that fast ever though... But speed between devices connected to the switch directly will be gigabit if the devices support it. great! that's what I was looking for. 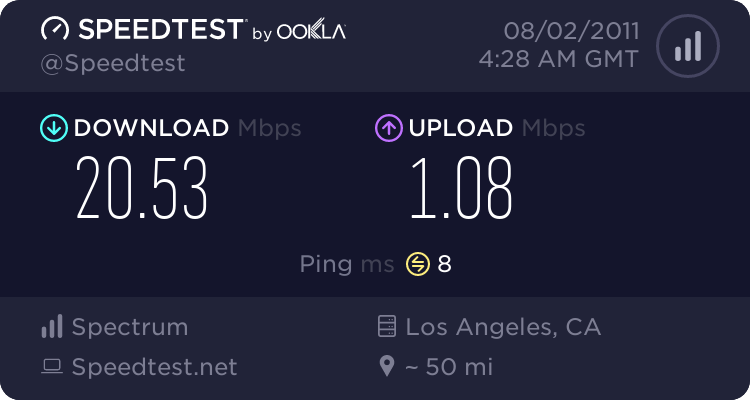 Since I only have a 12Mbps internet connection and wireless reception caps at ~36mbps, I'm not worried about the 100mbps limit to the router. All wired devices support gigabit. Will the router's DHCP work on devices hooked into the switch? We really like our DLink DIR-655, I think everyone has owned the old WRT54G router and had some issues with it. I gave another company a chance and couldn't have been happier. Are you saying that the devices connected to the gigabit won't get speeded up? All he wanted was to upgrade the wired part of the network and all the stuff connected to the switch will benefit greatly from the upgrade. Just make sure to connect anything fast to the Switch, and you can always upgrade the wireless/router later (i would STRONGLY recommend Ruckus if available). The router won't get faster, but the lan will get faster. If you would plug an 10Mbit device to your network, only that port on the router would reduce its speed, not the entire network (unless using a hub or something very low quality). I have not found any resellers of ruckus, and i think they probably are quite expensive, although they are the best!! !